Browse our new vehicle specials and clearance sales at Mac Haik Dodge Chrysler Jeep Ram of Georgetown, TX. The available inventory for our specials and clearance pricing changes daily, call our sales hotline to confirm current availability and vehicles that just recently entered this special savings status. 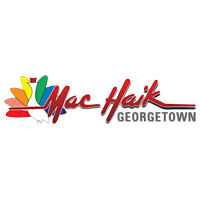 Residents of Austin, Cedar Park, Round Rock, Georgetown, Leander, Liberty Hill, Taylor and surrounding suburbs in central Texas have been shopping at Mac Haik DCJR Georgetown for over a decade. Come experience what it means to get that great Mac Haik feeling and discover what unsurpassed customer service, state of the art facility and expert sales staff have to offer you. We firmly believe in developing a lasting relationship with our customers and look forward to servicing your vehicle after the sale and providing a great experience for many years to come.